There are so many elements to the Good Food movement that it would be hard for any one event to capture its breadth. But the second day of FamilyFarmed’s Good Food Festival & Conference — Friday, March 20 — comes as close as can be to a comprehensive overview of this sweeping effort to change the way we eat for the better. The centerpiece of Trade Day is the nation’s oldest and biggest trade show focused on local and sustainably produced food. Building markets for local and sustainable food is a central theme of the Good Food Festival & Conference, so it’s no mystery why the trade show is smack in the overall event. An exhibit hall packed with around 100 Good Food farmers, artisans, and other businesses presents a golden opportunity for networking, relationship-building, and deal-making. The day’s program also includes a long lineup of panels featuring leaders and experts who will enlighten about the issues affecting a movement that has expanded rapidly in recent years, but has plenty of room for further growth. Mari Gallagher, whose research raised awareness of the issue of food deserts, will be a panelist at the Trade Day Opening Symposium. 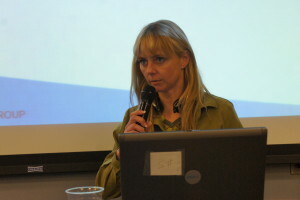 • Mari Gallagher of Mari Gallagher Research & Consulting Group, a FamilyFarmed board member whose research raised consciousness of the problem of “food deserts,” areas where residents lack convenient access to healthful food options. • Shaniece Alexander of Growing Home, a nonprofit organization that provides job training and skills in urban agriculture to individuals with criminal records and other personal challenges. 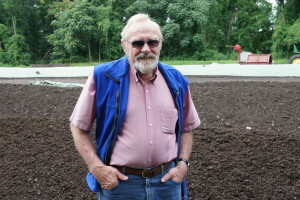 Fred Kirschenmann of New York’s Stone Barns Center for Food & Agriculture, an intellectual power of the Good Food movement, will participate in the Trade Day Opening Symposium. The Opening Symposium also includes a ceremony led by Angelic Organics Learning Center of Caledonia, Illinois and its CRAFT affiliate at which Jessica Rinks of Chicago’s Purple Leaf Farms, an urban farming operation, will receive the Beginning Farmer of the Year Award, and Chris and Marcy Prchal of Trogg’s Hollow in Elgin and Poplar Grove, Illinois will receive the Mentor Farmer of the Year Award. 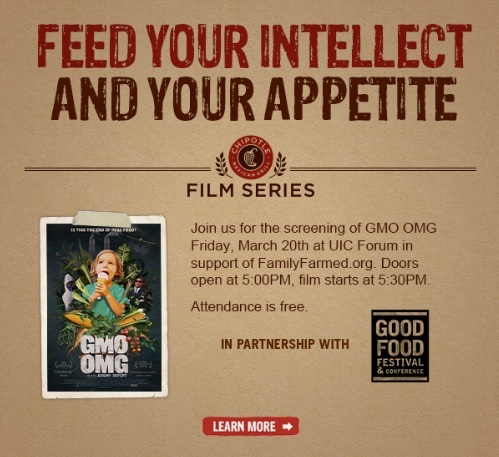 Trade Day at FamilyFarmed’s Good Food Festival & Conference includes a showing of the film GMO OMG. Two excellent special features cap this information-packed day. One is a showing of the 2014 documentary GMO OMG, which takes a bold and insightful look at one of the most important and controversial food issues: The impact of scientifically engineered plants (GMOs, for genetically modified organisms) on farm and food systems in the U.S. and around the world. The showing of GMO OMG is presented by Chipotle Mexican Grill and moderated by Mark Kastel of the Cornucopia Institute. There is also is a Meet The Buyers reception for attendees who want to unwind while availing themselves of still more networking opportunities. And if you already are at the UIC Forum for Trade Day, why not stay for Localicious that evening? After all, this separately ticketed event is one of Chicago’s best annual food and drink tasting events. It features top chefs who seek the finest in local and sustainably produced ingredients — and the farmers from whom they purchase. Delicious bites can be paired with some of the region’s finest craft beer, spirits, hard cider, and wine. As though that isn’t enough enticement, a great bluegrass band provides entertainment. For more information about the Good Food Festival & Conference and to buy tickets, please visit the event website. This entry was posted in Community Supported Agriculture, Farm businesses, Food Artisans, Food Entrepreneurs, Good Food business development, Good Food Festivals, Good Food movement, Natural food and products industry, Regional food systems, School food, Sustainable food systems and tagged Chipotle, FamilyFarmed, GMO OMG, Good Food Festival & Conference, Good Food Festival & Conference Trade Day, Localicious. Bookmark the permalink.